Home > Computer > Is an Ipad Right for Me? The Apple iPad was launched as a revolutionary product, billed as the best way to experience the web, email, photos and video. It looks like an oversized iPhone – a flat, black screen with a single button – but it yearns to fill the role of a laptop. 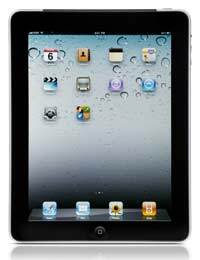 It is immediately obvious that the iPad has a number of advantages over a laptop. For a start, there’s its size. It has a 9.7-inch display and is only half an inch thick. It’s light too – only one-and-a-half pounds – so it is far easier to transport than a laptop. Then there’s the battery life, which is up to 10 hours while watching movies, listening to music or surfing the web using Wi-Fi. The multi-touch screen is based on the same technology as iPhone and the same combination of taps, drags, swipes, pinches, flicks or twists of your fingers will result in precise and responsive navigation. It works in any orientation, so you can view whole web pages in portrait or landscape. Just rotate the iPad and the page rotates too and then expands to fit the display. There are thousands of apps specifically designed for iPad and it can also run almost all of the 350,000 existing apps for iPhone and iPod Touch, although these look blocky when expanded to fill the larger screen. It can be used as an eBook too, but the backlit screen makes it much harder on the eyes than specialist eBook readers with their electronic ink displays. Although it does a lot well, there are times when an iPad falls short and only a laptop will do the job. For instance, the one gigahertz processor is not exactly earth-shattering by today’s standards and the limited storage capacity – 16, 32 or 64 gigabyte flash drive – may pose problems. The on-screen keyboard can take a bit of getting used to and there is no built-in camera, so video calls are out. At its launch, the iPad’s inability to multitask was highlighted as a shortcoming, but this has since been solved by the introduction of a new mobile operating system. The lack of Flash support will still be an issue for some, however, especially on a machine designed to make the most of multimedia content. So the iPad sometimes falls between two stools – not quite a laptop and not quite a smart phone, not powerful enough to replace a laptop and too big to fit in your pocket. It will still have massive appeal and is ideal for those who want a lightweight, portable machine for sending and receiving emails, watching videos, playing games, viewing photographs and listening to music. Those ready to dump their laptop may have to think again, however, especially if they need more than a plaything. The truth is the iPad is unlikely to replace anything, as those with an iPhone, laptop and eBook reader will want to keep all these devices too. It can be a useful addition, however, and if some of the drawbacks can be ironed out with the inevitable introduction of second and third generation iPads, it could yet spark a seismic shift in technology.